Click within the text of a previously unselected node that has more than one line off of the top of the screen. The cursor is placed where I clicked, and nothing else happens. The cursor is placed where I clicked, and the document jumps so that the selected node is at the vertical center of the screen. 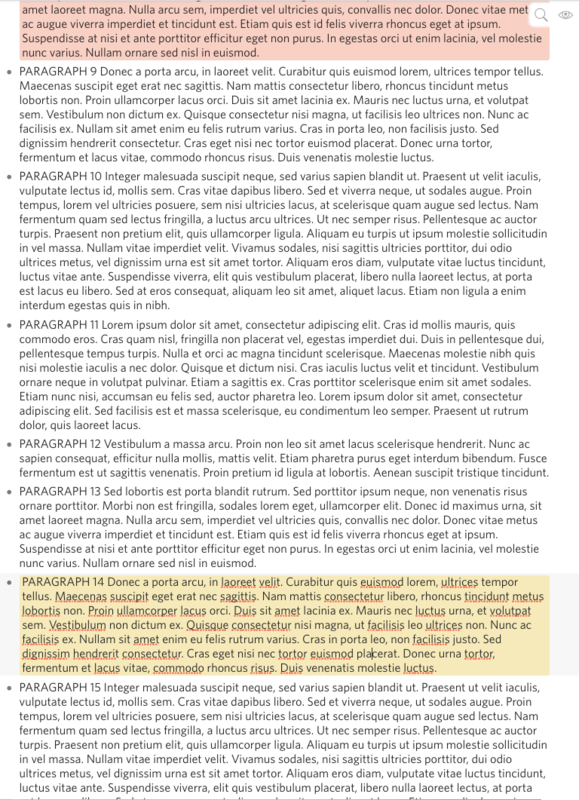 Example of trying to click from the yellow paragraph to the red paragraph. Often when I click between nodes I just want to add something and still be able to see what I was looking at before, which is no longer possible if it jumps out of frame. Even if not, I find it jarring and unexpected when the document jumps to center the selected node. 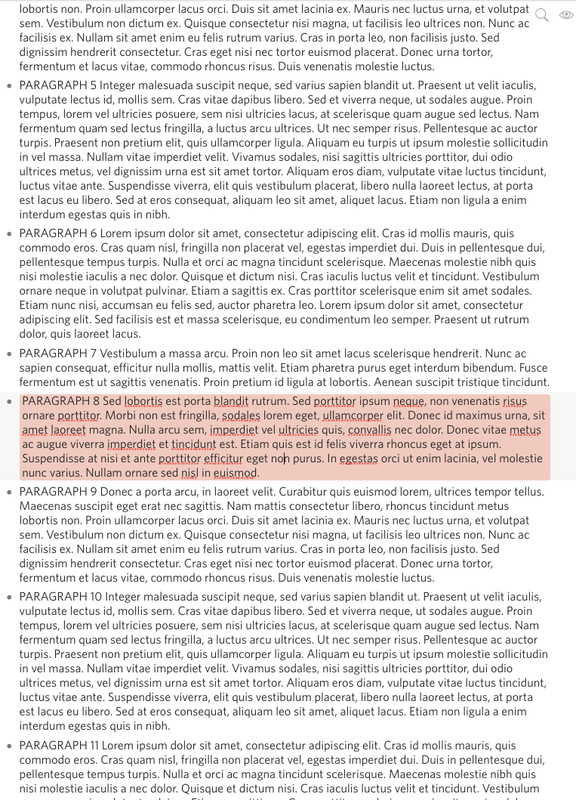 Furthermore, if the text is long, the jumping can result in the cursor being completely off screen, as it’s the bullet point that gets centered, not the cursor. I hope this makes sense and that I’m not just crazy!